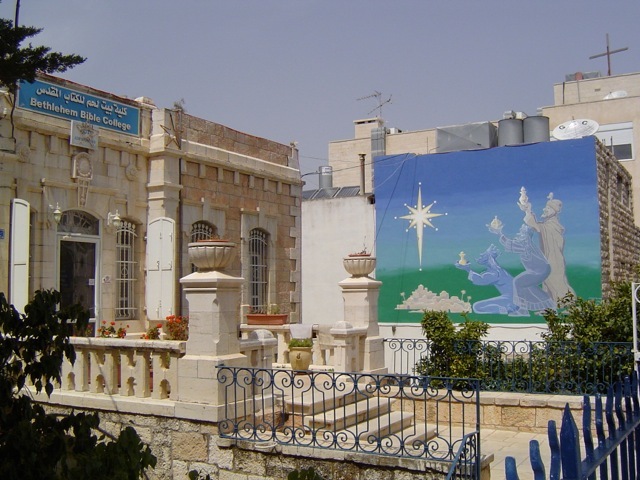 I have received a new call from Bethlehem Bible College (BBC) and Mennonite Church Canada to go to Palestine/Israel for nine weeks to teach Pastoral Care and Counseling in the biblical towns of Bethlehem and Nazareth. There are over 70 churches and 55,000 Arab Christians in Palestine. Unfortunately, few of the pastors have been trained in the practice of pastoral care. I will seek to respond to some of that need. Bethlehem Bible College is an interdenominational college that trains Christian leaders to serve Arab churches and society. It will also be my privilege to assist President Emeritus Bishara Awad in the setting up of a peace studies program at BBC, designed to train Palestinians in peacemaking and conflict resolution. In relation to peacemaking, I will attend the third “Christ at the Checkpoint” conference being sponsored by BBC, in March. I appreciate your prayers for a safe trip, for permission to pass through the checkpoints, for availability of my text being published in Egypt and for good interaction with my students.